Best Landscaping - Fencing/Gates, Landscaper based in South Ockendon, Essex. Welcome to Best Landscaping, whether you’re visiting for the first time or an existing client we hope that we can offer some exciting new ideas. Family run business established in 1993, we've been busy transforming gardens across Essex and Kent for the past 20 years and like to think we offer one of the most comprehensive services. From the traditional to the modern contemporary, we specialise in creating unique and beautifully finished gardens to suit any lifestyle. So whether you’re looking for a full Garden Service, an exciting piece of Garden Landscaping or simply a few pointers, we’re confident we can help. We pride ourselves on offering a complete landscape service to our clients, from concept to completion and after care. Excellent service and exceptional quality form the foundation to all our work so if you are visiting us for the first time why not look at our photos or get in touch and see what we can create for you? 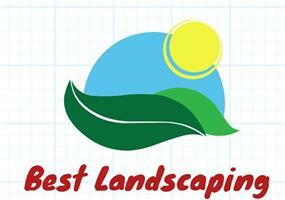 With Best Landscaping you can have the garden you’ve always dreamed of. We can create a stunning outdoor space for you where you can relax, entertain, enjoy fresh air and admire nature. Our work is of an exceptionally high quality. OUR BEST QUALITY IS WE LISTEN, SO YOU ACTUALLY GET WHAT YOU WANT WITHIN YOUR BUDGET.